In keeping with the current theme on some of my most recent posts about great places to stay in Hawaii (Maui), it makes sense to review options on getting to Hawaii for your next family vacation and how you can save money in the process. I have previously written about the Alaska Airlines Credit Card and described how you could utilize it to save money on flights to Hawaii, but another popular option when flying to Hawaii, at least from the West Coast, is on Hawaiian Airlines. Hawaiian Airlines offers a credit card through Barclays Bank and the Bank of Hawaii, the Hawaiian Airlines World Elite Mastercard, and if you travel often enough to Hawaii or other locations they travel to, this card may be worth considering, as the card benefits and on-going perks may make it worth your while to consider applying for. Note that there is an annual fee of $89/year for the card. If you currently aren't a member of the Hawaiian Airlines "HawaiianMiles" Loyalty program, like I was, sign up first for the free loyalty program and you'll receive an improved offer of 50,000 bonus Hawaiian Miles with the same terms above. If you are already a member, try checking your account to see if the better offer shows up. I considered applying for the card, but decided to sign up for the loyalty program first and see if the card would be worth it right now. I was pleasantly surprised to see a better offer available in my account for 50,000 bonus miles that is available until November 30, 2015. Depending on your travel dates, the current sign-up bonus offers available are enough for a roundtrip coach award from North America to Hawaii, with an added benefit being that cardholders can redeem discounted awards of 5,000 miles off roundtrip fares from North America to Hawaii as they typically are around 40,000 miles. Get $100 companion discount off one coach companion ticket for roundtrip travel between Hawaii and North America on Hawaiian Airlines on each account anniversary upon payment of annual fee. This benefit is a nice way to offset the annual fee the second year if you travel to Hawaii at least once a year. Earn 5,000 annual bonus miles every anniversary year you make $10,000 or more in purchases with your card. In-Flight Purchase Credit for Pualani Platinum and Pualani Gold Members up to $100 annually. Qualified in-flight purchases include on-board entertainment, beverages and premium meals. I applied for the Hawaiian Airlines World Elite Mastercard to take advantage of the great sign-up bonus, 50% discount fare on travel to Hawaii and the on-going benefits mentioned above. I plan on saving my Hawaiian Miles and using them for a future trip to Hawaii or other great destinations they fly to or where their partners fly to. 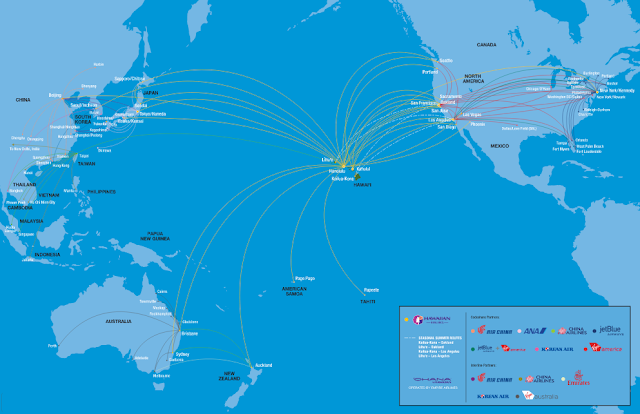 There are always promotions and sales being offered by Hawaiian Airlines year-round. The added benefit of the one-time 50% off companion fare can also help save money when booking flights. Assuming your travel dates qualify for one of the promotional rates that are offered, you could save money by purchasing one flight and using the one-time 50% off companion fare discount on another or using your miles to book your flight. Hawaiian Airlines offers three different purchase options that they refer to as: 'Dollars', 'Miles' or 'Dollars and Miles' rates. The best deal will come down to your specific location where you'll be flying from and figuring out what is the best overall deal for your flights. Another reason why I considered applying for this card was in order to gain access to the World Elite Benefits offered by Mastercard. If your not familiar with this program, it is similar to the Visa Signature program I previously reviewed here. I plan on reviewing travel benefits offered through the World Elite Mastercard program in a future post. If you are planning a trip to Hawaii anytime soon, the Hawaiian Airlines World Elite Mastercard may be worth considering as it can save you money on the cost of your flights.